25th-Ranked Bautista stunned Djokovic on the ninth day at the Miami Open Masters 1000. World no. 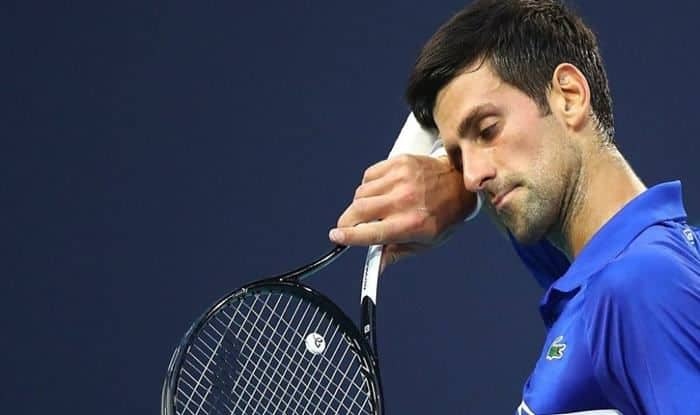 1 Novak Djokovic suffered a surprise defeat against Spain’s Roberto Bautista Agut on the ninth day of the Miami Open Masters 1000 on Tuesday. The Serb international was defeated over three sets after a positive start by the 25th-Ranked Spaniard with the scoreline of 1-6, 7-5 and 6-3. With the victory, Bautista hs now progressed to the quarterfinals of the competition. Djokovic, 31, who was looking to get his seventh title in the Masters 1000’s most important tournament of the season in the US, saw Bautista Agut, who this year had already beaten him in Doha, overcome a setback in the first set on Tuesday night, in just 35 minutes, to then lead the greatest comeback so far in the tournament. Bautista Agut, took two hours and 30 minutes on the new court at the Hard Rock Stadium, with a break of 40 minutes due to rain, to achieve his third victory, second in a row, in the 10 duels he has played with Djokovic (7-3), reports Efe news. The Spaniard, 30, will play in the quarter-final against US’ John Isner, the seventh seed, and current defending champion of the tournament, who won 7-6 (5) and 7-6 (3) against the nineteenth seeded England’s Kyle Edmun. Djokovic showed his best performance with a powerful and safe serve, as well as placing the right shots for which the Spanish tennis player had no answers. But the story changed in the second set. Bautista Agut rediscovered his best level of play and responded firmly in the exchange to reach a 5-4 when the rain came, and with it the temporary suspension. The stoppage favored the Spanish tennis player, who focused his game even more and even though Djokovic had a breakpoint at 5-5 after the rain, the world number one failed to react in time and lost the set to the Spaniard, who tied the duel at 1 set each. Everything seemed to indicate that Djokovic, who had already lost a set in the previous match, was going to react and step up, but quite the opposite happened. It was Bautista Agut who maintained a better level of tennis. Safe serves, absence of unforced errors and a rest which completely defocused the world number one, were his weapons to break the rival’s game twice and get victory.